The other night I mentioned that something yummy was baking in the oven, and boy did it taste amazing! 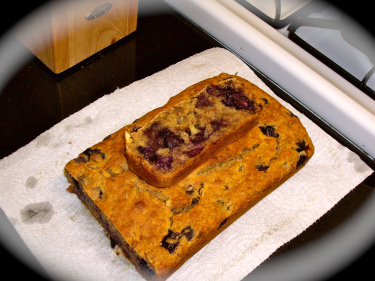 I made a vegan blueberry and walnut loaf from this recipe @dailygarnish! It was super moist and delicious. The best part is that it is healthy and all natural! Todays lunch was left over pizza from the other night and an organic apple. I took Pete on an hour-long walk today, along with the dog park He is totally pooped now! I also went to an hour-long yoga class, which felt so awesome and I really love this new studio. Veggie salad with an organic egg on top.